G League Not All It's Cracked Up To Be? Darius Bazley now opting to just train by himself for a year before the draft. Probably a good move for him. I think most guys would look rough in the G-League playing against grown men. IMO it makes no sense for these kids to pass on college to just go and “train” for the draft. They just do not understand the amount of exposure they get when playing at a big time school. Playing at Syracuse he would have been on ESPN 20 times. Best of luck to him but don’t think this is a very smart business decision. @Woodrow Also have to consider that you could also “get exposed” in a bad way by playing. IMO, it is better to get yourself drafted in the 1st round than risk not getting drafted and never making that same kind of money. If he really ends up being good, he won’t be hurting financially. Exactly. Labissiere is a good example, he went from being potentially the #1 pick to being drafted #28 and almost falling off the first round. @Woodrow agree. Look at Mitchell Robinson. 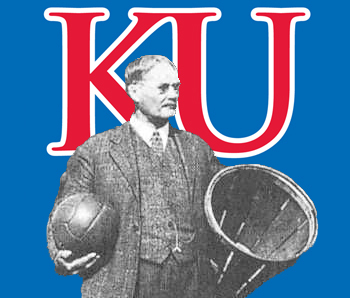 @Crimsonorblue22 A year at KU and he’d have been a top 10 pick. I think he’ll be okay. A bit of a head case anyway. In the future agents will sign kids in 6th grade and only let them work out till they are draft age? The trouble is that, by and large, guys that are stars at lower levels are cast in much different roles when they arrive in the NBA. They are expected to be role players - specialists almost. Tyson Chandler was a superstar high school player. He became an All Star by becoming a dominant defender. Michael Beasley was a revelation in college, but he has bounced around the league. Tyler Hansborough was a superstar at one of the most recognizable schools in the country. He never averaged even 22 mpg and now plays in China. College hoops just doesn’t prepare you for the NBA. The roles are different. The talent is more condensed. A guy that can dominate college games (oh hi there, 2005 JJ Redick) becomes a role player in the NBA (oh hi there, 2011 JJ Redick). Some guys can make that adjustment. Others simply cannot. Does college help some guys? Of course. But I think it also hampers some guys. Andrew Wiggins has never fully taken himself to the level his athleticism dictates. Some guys get better. Others develop bad habits along the way against lesser competition. It’s a mixed bag, really. @justanotherfan I agree w/you, but that’s not exactly what I meant. For example Mitchell Robinson, a guy that chose to just work out on his own, I think he would have gone much higher playing at, of course, KU. Wiggs always said how much he learned during his short time here, look at embiid. We knew it would be tough for Perry. Then again some guys screw up by leaving to soon, or the Alexander scenario. I think diallo would have benefitted w/a couple more years, but he is very slowly hanging in there. Beasley should be in the nba, but he was always in trouble. I really thought he would make it. I do get some guys are just really good college players but not nba guys. I would NEVER have drafted Wiggins as high as he was. He has ZERO hands and that is a natural ability. Guys dont develop(in college or not) good hands later in their athletic lives. Heck coach Self was quoted in practice saying “softest hands in America”. I dont care how athletic you are if your hands cant keep up with your body you will never be an elite level NBA guy. Obviously this is nitpicking because Wiggins is a good/very good pro. He just will never justify a #1 overall pick. You can, to a limited extent, develop better (i.e. stronger) hands. You are limited on natural physical gifts as far as hand size, so if you have smaller hands, it will be more of a challenge, but you can make your hands stronger. Palming medicine balls, squeezing tennis balls and hand grips, etc. can help strengthen your hands. Obviously, this doesn’t make up for having really small hands, but if you have average size hands with elite hand/grip strength, you will still have great overall hands. I can’t find any measurements of Wiggins’ hand size specifically, so its anyone’s guess on that. He’s certainly not Kawhi Leonard. I thought soft hands were good! Stone hands are bad! @Crimsonorblue22 His numbers are fine. He’s averaged as high as 24 ppg in the top league in the world. He averaged less than 2 t.o.s a game, so I don’t see a problem. @KUSTEVE I know, he’s one of my favorites!